Hi everyone and welcome to another Cupcake Craft Challenge...it's evident that you all enjoyed our 'Keep it Simple' theme last week judging by the number of entries we received...thank you to everyone who entered this challenge and don't forget to pop back later to see who has won the Soft Pencil $20 Gift Voucher and to see who has been picked for the Top 5! You can make anything you like this week as long as we can see 'friends' or 'friendship' in your project and if you need any inspiration the design team have provided plenty for you! 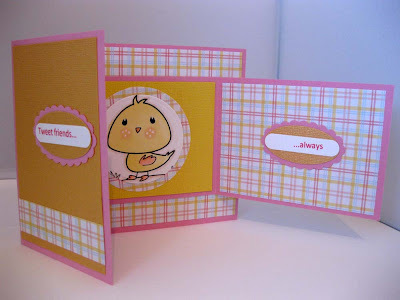 If you want to find out how they made their cards you can click on their names in the sidebar to go directly to their individual blogs...they would love for you to leave a comment on their blogs to show your appreciation for their work! We are still receiving quite a lot entries where Cupcake Craft Challenge haven't been back linked in posts...if we are not mentioned with a back link to our challenge blog then the link entered with Mr Linky will be removed and the entry will not be eligible for any prize(s) offered by our sponsors! The Creative Cottage produce some really fantastic design papers and coordinating elements all of which are suitable for either scrapbooking or cardmaking! More recently they have some released some digi images for two really sweet characters called Sherbet and Hattie. Their kits are great value as you get to print the papers and elements whenever you need them so you'll never run out of your favourite papers! 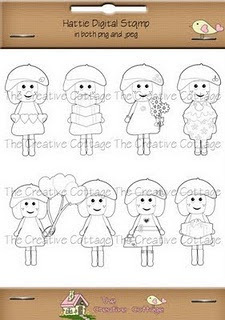 The Creative Cottage are offering one lucky winner the chance to win a set of Hattie Digi Images and Party Night Digital Paper Pack. 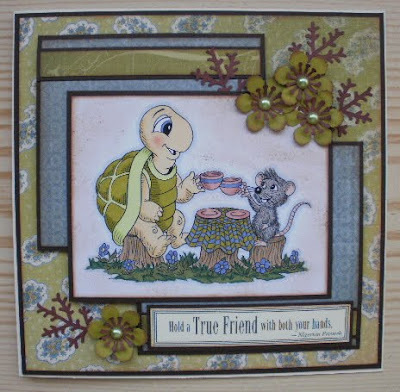 Great DT cards-good friends are as good as good family. The DT samples are fabulous, TFS. On a side note, I tried to enter my card 3 times with Mr. Linky in the past 10 minutes. I still don't see my link. Sorry if 3 links pop up, I'll try again in the morning. 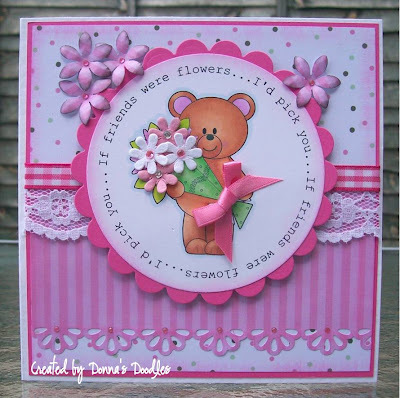 What a lovely challenge this week, I love all the sentiments used by the DT. 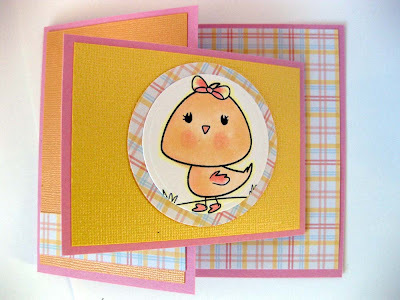 Fabulous cards girls - it's been ages since I last entered a card - really enjoyed this one. 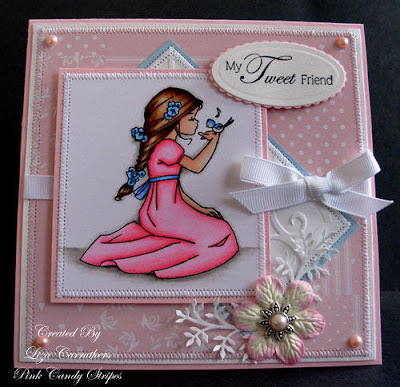 Fabulous challenge ladies and great DT creations. Great challenge, always need friends cards.